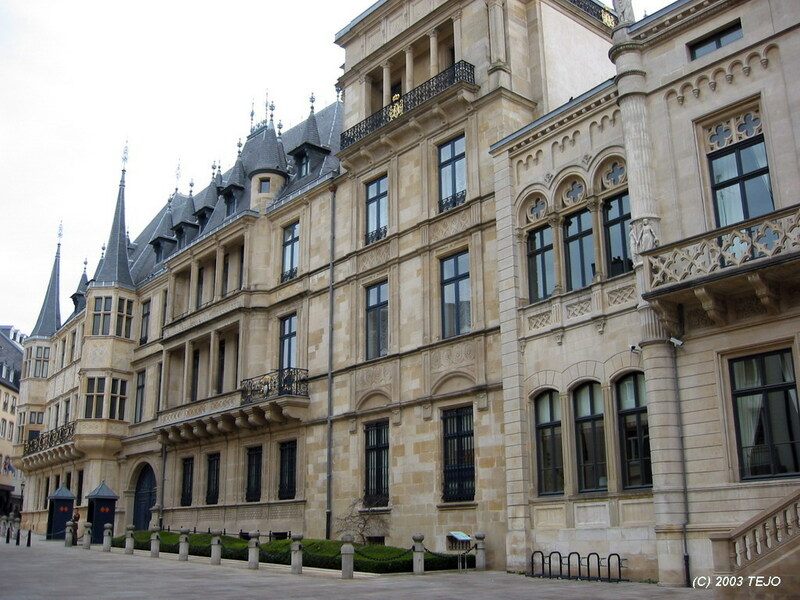 For reasons not quite known, my mother had wanted to visit the Grand Duchy of Luxembourg for quite some time, and my trip to Vietnam in 2002 seemed to accelerate these plans, so we (including my brother) decided to go there in the spring of 2003. This would be a ferry/car trip, so no hanging around at airports...and it was time to dig up some information about our planned destinations. I decided to order some literature from Amazon in UK again - these being 'Rough guides - Germany', 'DK Eyewitness travel - Germany', and 'Philip's Europe road atlas'. I also contacted the Luxembourg tourist office directly, as well as the Norwegian branch of the German tourist office with a request for some brochures. After having read up and down and surfed the net for quite some time, a round trip began to form. The first leg of our journey would start from our capital, Oslo. 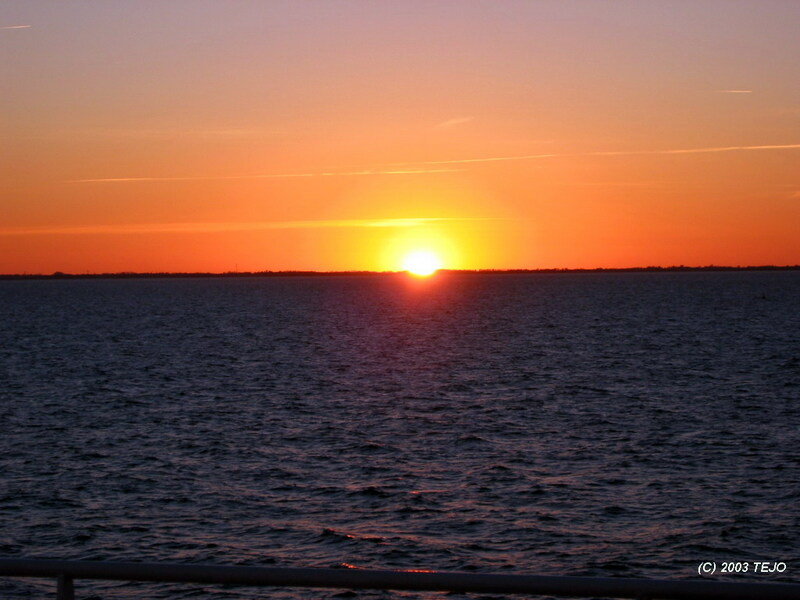 The ferry would take us to Kiel in around 19 hours, and we would start well rested and awake on the continent. 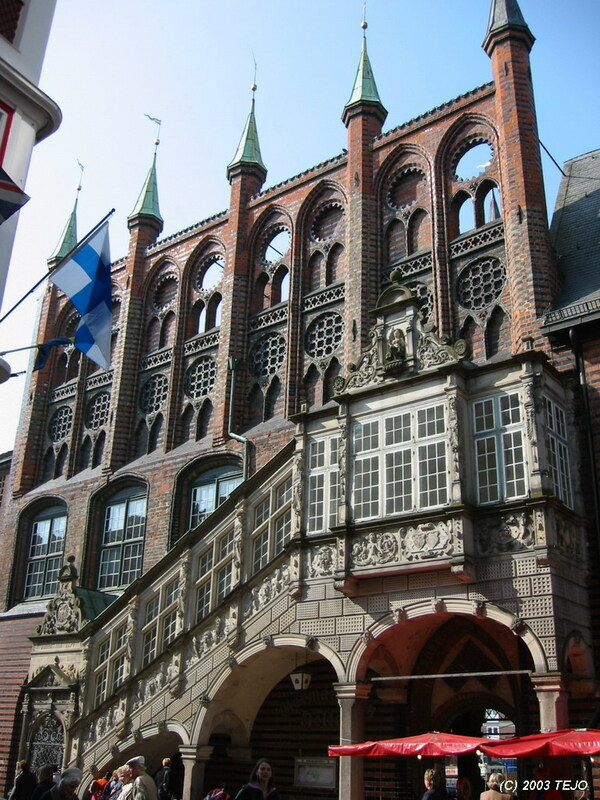 The first stop would be Lübeck, which is around 70 km southeast of Kiel on a smaller main road (Bundesstrasse). Our journey would then continue in a southwestward direction on the A1 Autobahn past Köln (Cologne), via the Mosel Valley to Trier and Luxembourg. The return trip would go back to the start of the Mosel Valley, then southeastwards through the most scenic part of the Rhine Valley, past Mainz and Frankfurt to Würzburg, where our road would take us northwards on the A7 Autobahn past Hannover, Hamburg and back to the ferry in Kiel - the last part would include an overnight stop in the old town of Goslar, not far from Hannover. After scouring the obtained information and road map, and deciding on a rough plan on what to see and visit, we set aside 14 days for the trip, to be on the safe side and not underestimate the distance we would be covering. And they're off to a good start...or? A 19 hour boat trip sounded quite long to me, as I am not used to cruising like this for long periods of time. Indeed, after a bit of walking around and getting to know the ship, it was time to get bored..finally, night came, and with it, the discovery of how loud those engines sound when you have a cabin pretty near to it. And with the addition of fog and a blaring horn throughout the night, our hopes of waking up fresh the next morning dwindled fast. This might be a long day...back on land again in Kiel and it was time to look for signposts that said 'Fernverkehr' which would translate to something like 'faraway-traffic', mostly referring to motorways (called Autobahns in Germany). 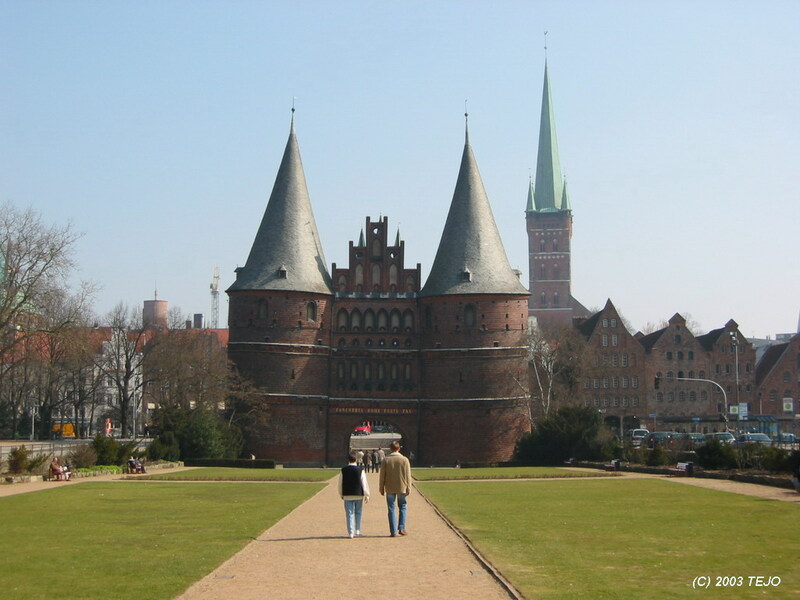 We did find the Bundesstrasse leading to Lübeck, and after an hour and a half, we were there. 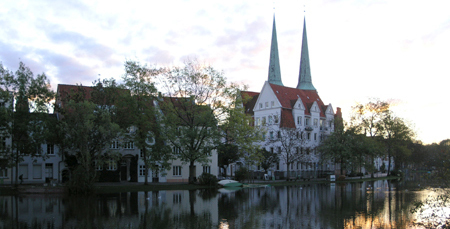 This town is a good example of the heritage from the Hanseatic age, when there was a lot of trade between ports on the Baltic Sea. Now counting 214.000 citizens, it has also achieved status as a UNESCO World Cultural Heritage Site, and the old town is quite big with a lot of architecture that is typical for the age. 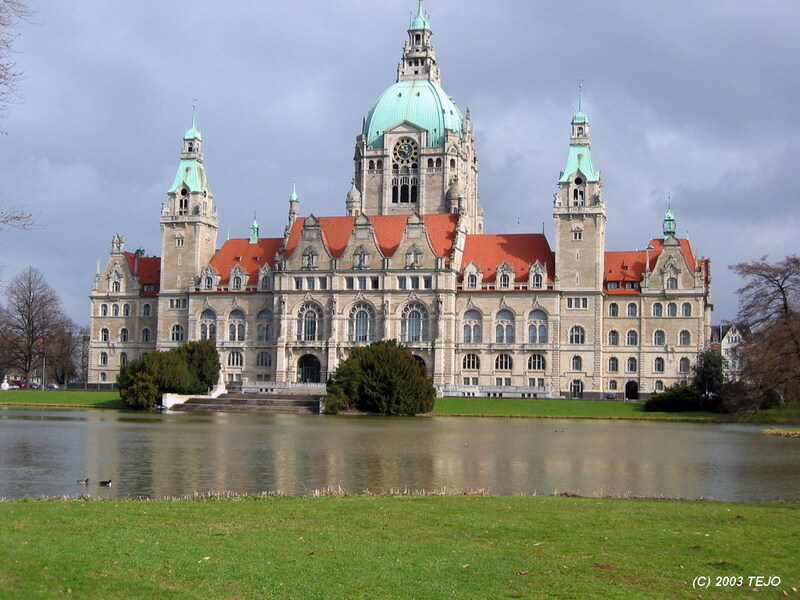 Major sights include the town hall with its small spires, the Marienkirche, and the Holstentor ('tor' in German meaning 'gate') which also houses a museum. Lübeck is also famous for its traditions with making marzipan, with brands like Niederegger dating as far back as the early 1800s. The remainder of the day saw us on the A1 towards the Ruhr area, which is quite densely populated, with several bigger cities such as Dortmund, Düsseldorf, Essen and Köln. Our chosen stop for the night was the Waldhotel Eskeshof on the outskirts of Wuppertal. This place was a pleasant experience, as it was situated right at the end of a quiet road, and indeed lying near the forest. 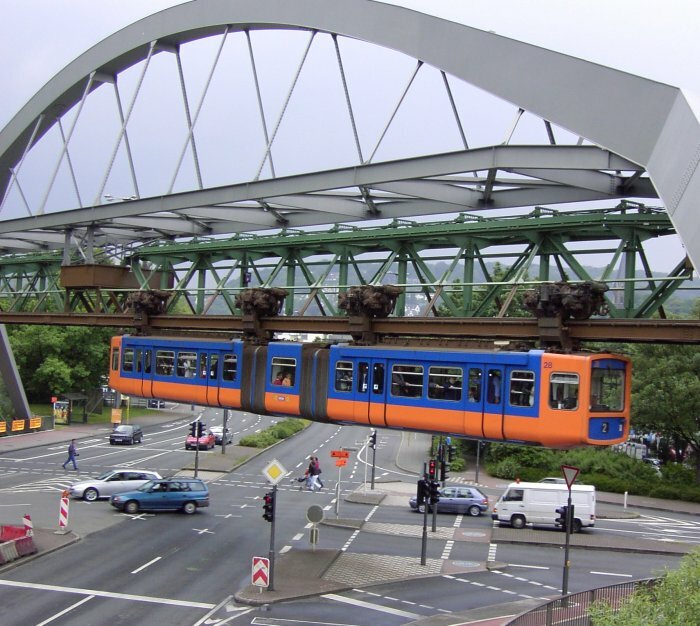 The only major 'sight' in Wuppertal as far as I know is its unusual tranportation form - a monorail, dating back to the early 1900s. A monorail is a railroad which travels on an overhead rail structure, this one being inverted (suspended), making it a somewhat peculiar sight above traffic. The next day started with a 50 km drive from Wuppertal to Köln. 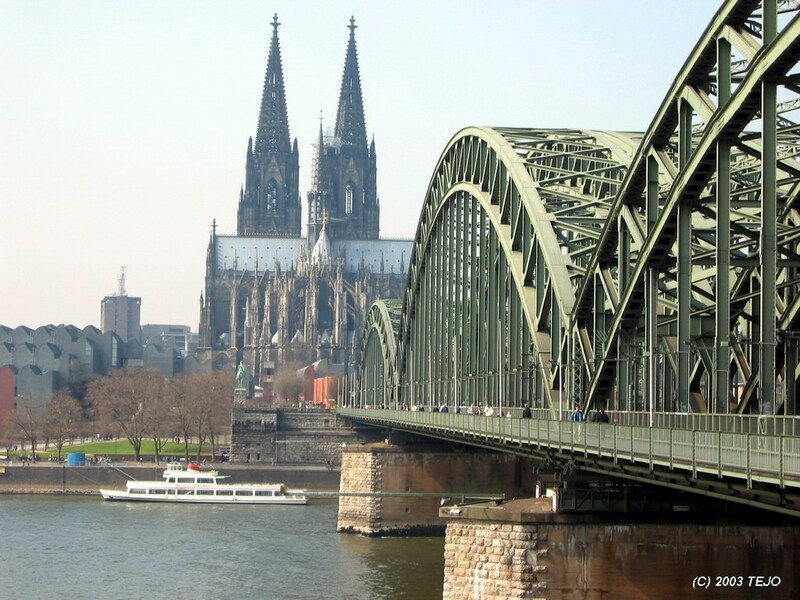 In the days of the Roman empire, this was known as Colonia, hence the english name of Cologne (and yes the name of 'eau de Cologne' or 'Kölnerwasser' is from here). This is Germany's 4th largest city and counts somewhere around 1 million inhabitants. The most famous landmark would have to be the cathedral, which rises 157 metres above the flat cityscape and is so easy to find that you don't need a map to get there - signs will also show you the way. The cathedral, which is mainly gothic in style, has evolved for 600 years until it was finally completed in 1880. We did a short roundtrip, where we parked the car, walked to the cathedral and inside it (remember to try not to break your neck when you look up at the spires), then down via the somewhat smaller Romanesque church of St. Martin, across the Hohenzollern railway bridge which crosses the Rhine river, then back again across the bridge to the car. We noticed that stops like these easily eat up a couple of hours of the day, even though they may not seem to be that long. Still, there was more to come, and we followed the stretch of Bundesstrasse which covers the floor of the Mosel valley, around 190 km from Koblenz to Trier. Spring seemed to have been very dry so far, as there was not much green stuff to be seen at all, naked trees and vineyards on the gently sloping valley walls, which I am quite sure made our visit less interesting than it could have been. 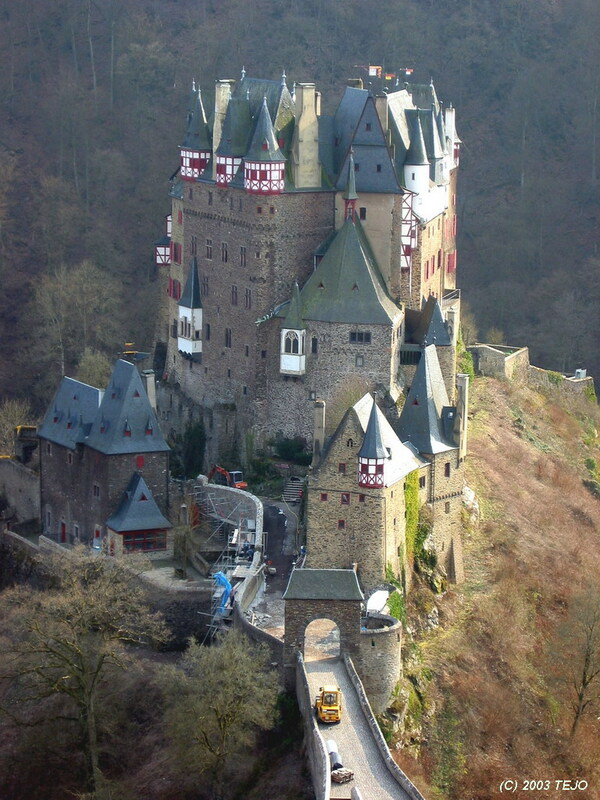 However, we decided to go for a 'quick' visit to a side valley which houses the peculiar Burg Eltz castle. This was a somewhat more unusual sight compared to the other numerous castles in the valley, as this one seemed to be a mix of both old and new building style, and looked as if it had originally grown straight up from the rock on which it is perched. 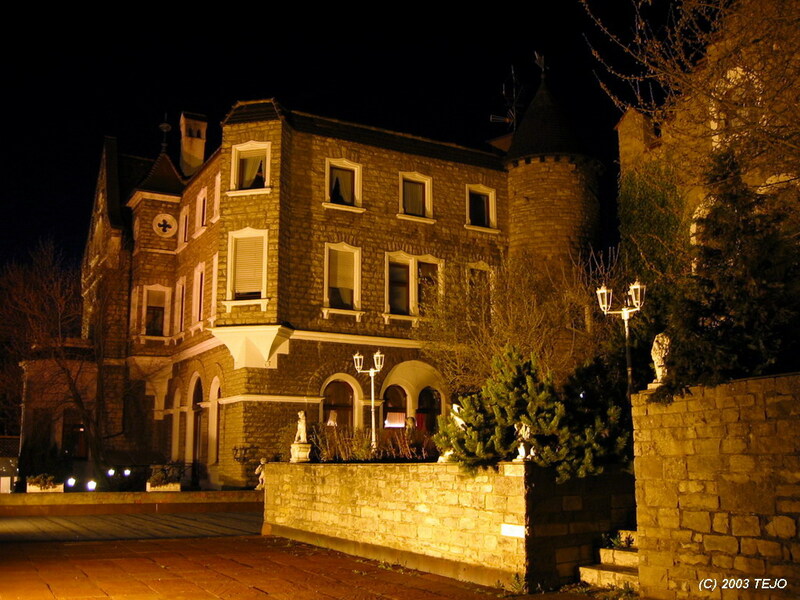 Time for another overnight stop - Berghotel Kockelsberg on the outskirts of Trier. This small hotel is every bit as beautiful as it seems to be on the home page, and has a great location away from all traffic, lying on a hill slightly overlooking the town. The staff was also very friendly and hospitable, and the two we spoke to were very well versed in the English language - one with a cockney dialect (found in part of London), while the other had a broad American accent - both very surprising for Germans, as they usually tend to embrace their own language eagerly. The town of Trier itself is Germany's oldest towns, which says quite a lot, as Germany has an abundance of old history and historic sites. 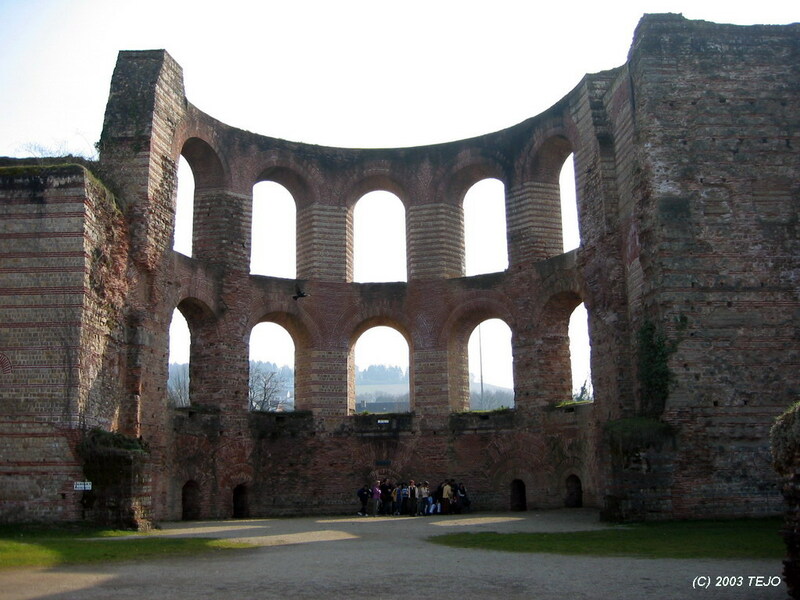 Its age is officially around 2000 years, while an inscription on one of the buildings on the town square says in Latin that 'before Rome, Trier stood one thousand and three hundred years', a legend which refers to it as being founded in 2000 BC. Officially, it was founded by the Romans as Augusta Treverorum, this town was one of the biggest in the northern parts of the territory at its time, with around 100.000 inhabitants - as many as today - and it had two bath facilities, namely Kaiserthermen and Barbarossathermen (the biggest north of the Alps), it had a 6.4 km long city wall, of which today only remains the big gate leading into the town - Porta Nigra, named so for the dark discolouration of the stone it was built from, and it had its own amphitheatre which roomed 20.000 spectators - not bad for a town considerably smaller than the seat of the empire. The old part of town is a very nice experience, as there are buildings and build styles from several different epochs and countries - I felt that some of the buildings on the main square looked as if they had been fetched from Prague, while others looked more oriental in style. The amphitheatre is a bit outside the old town, and if you want to go for a stroll similar to the one we did, be prepared to spend at least 3-4 hours. 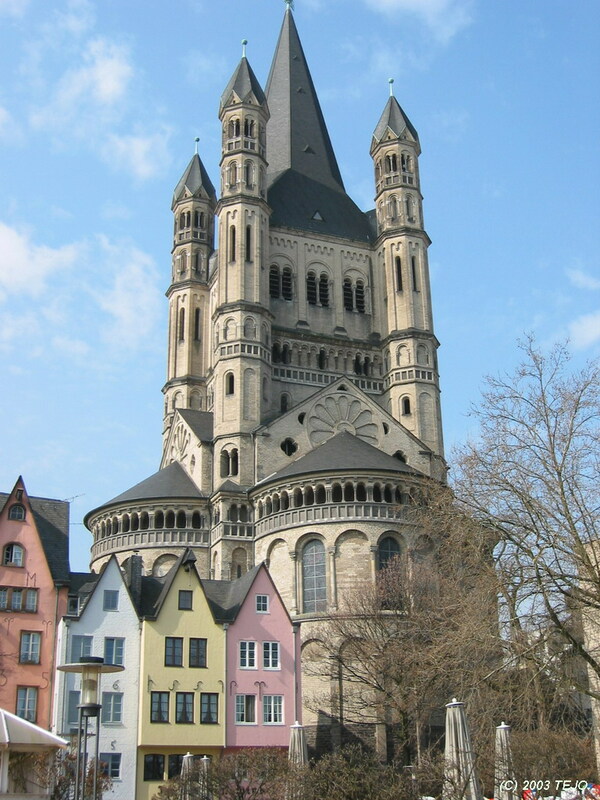 Other sights include old cranes on the Mosel river, and the cathedral, which houses an impressive relief cupola. 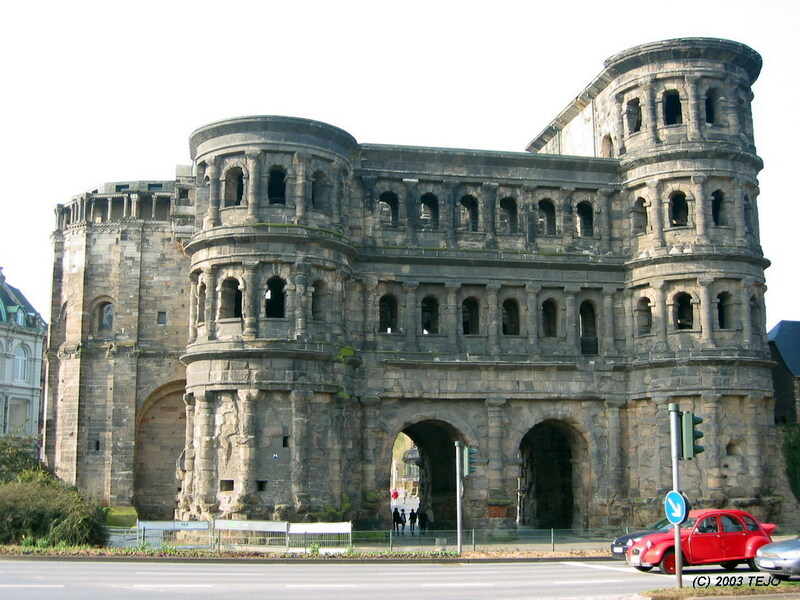 From Trier, Luxembourg City is a mere stone throw away - 50 km, and you will barely notice crossing the border. We were lucky enough to arrive on a friday afternoon during rush hour, and noticed that road signs were different from the ones in Germany - here, they liked to write directions and lane info on the lanes themselves, so as these were packed as we got there, it took quite a while to find our way to our chosen hotel - the Etap which belongs to the big Accor Hotels chain. The hotel itself was brand new and almost smelled of fresh paint - the standard was ok enough but nothing spectacular - but then again, this is the budget series of the Accor chain, so € 35 per night including breakfast (biscuits and jam) was definitely enough. The hotel was situated right next to the airport, which was no problem really, since the traffic there was mostly from 7 in the morning till 23 in the evening. Our problem was however that there was a dog expo this weekend, and a lot of people had chosen this hotel and the Ibis (also part of the Accor chain) next door to stay in. Many left their dogs in their cars during the night, and thus, a fair bit of the night was spent listening to the dog's argumenting against this - not exactly lucky timing on our behalf! 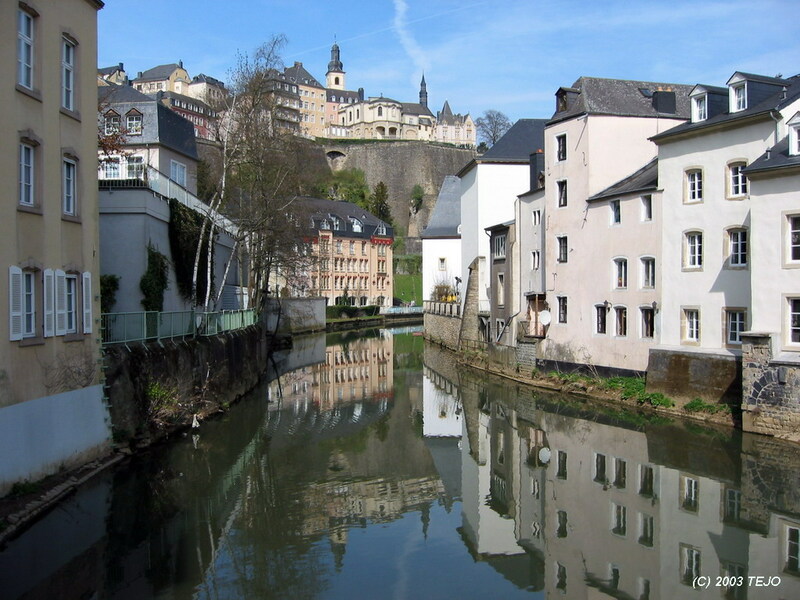 Luxembourg City itself is perched on a slightly rocky terrain, and is divided into two halves by the Petrusse and the Alzette valleys. These are covered by only a couple of bridges, which tends to create a few traffic jams here and there. As one of the European Union's main cities and a financial capital, there is quite a few modern buildings to spot in addition to the much older ones (it houses e.g. the European Court of Justice). It was founded in the year 963 AD, originally as just a castle perched on top of a rock, but with a 270 degree view - a great advantage for fortifications. The capital itself houses 75.000 of the country's population of 465.000, and the total area of the country is only 2600 square kilometres. The official languages are German and French, in addition they have their own language which some people in the countryside or villages speak - Lëtzebuergesch. 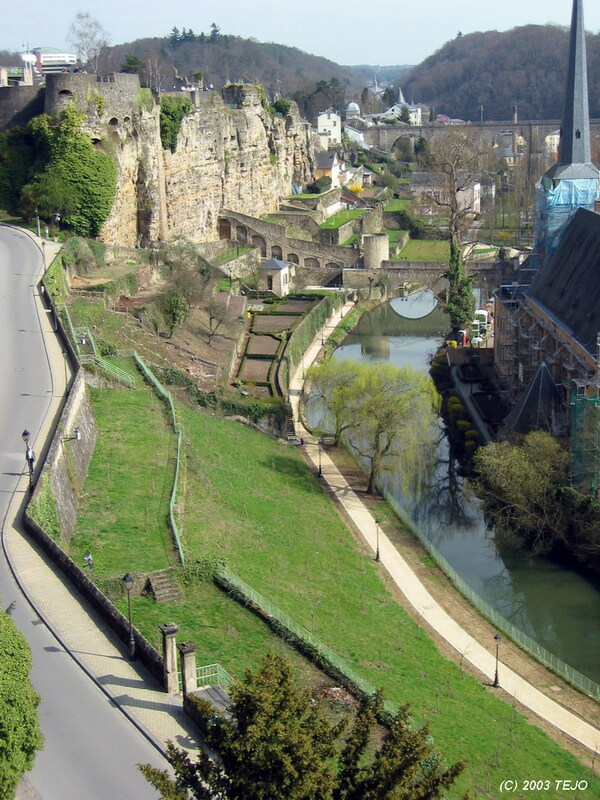 We found out that there are two sides of Luxembourg City - the trafficked, noisy central parts of town including the bridges, and the countryside-feel valleys where you can take a leisurely stroll and enjoy the houses and see the remains of the fortifications of the old castle. What remains of these is a newer tunnel network - named the Bock and Petrusse casemates. 17 of the original 23 km of these tunnels still exist, while only a small part of this is open to the public. This is well worth a visit, and you will also enjoy some views over the valley floor from the cannon openings. This can easily be included with one or both of the classical walks in the valley - the Vauban and the Wentzel walks (see links at the bottom of the page, under the official Luxembourg pages). 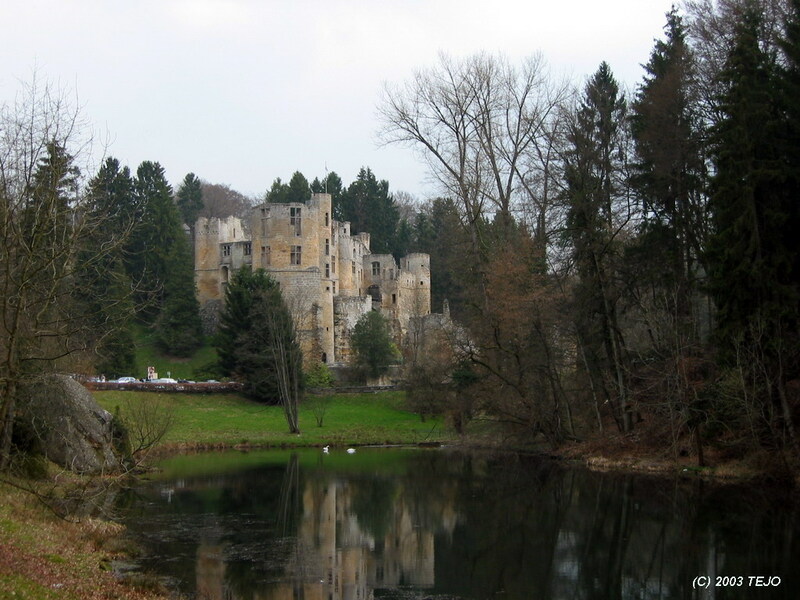 A whole day was set aside to a visit to the countryside, including two nice looking castles. 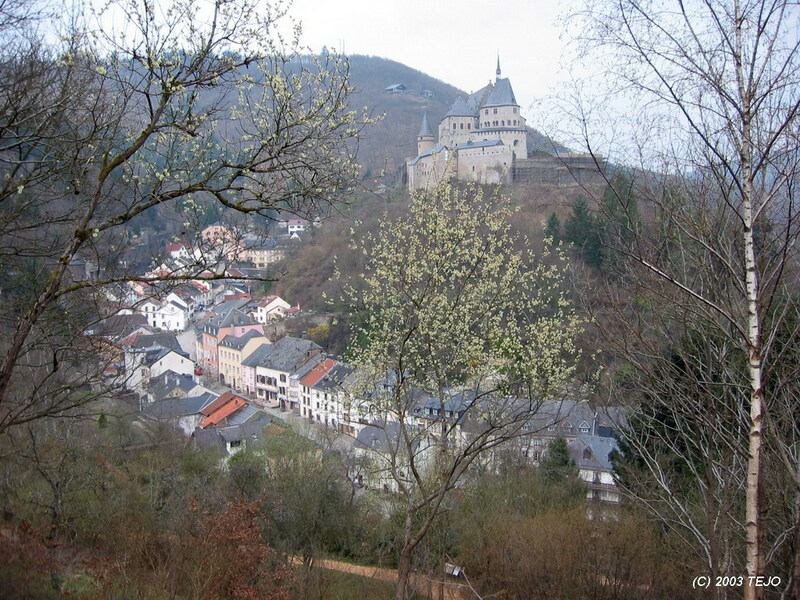 The first was the obvious watchdog of the small village of Vianden (pronounced with a German 'v', thus 'Fianden') as it was perched on top of a small hill around which the village was situated. It was constructed between the 11th and the 14th centuries. Originally the seat of the counts of Vianden, it eventually fell into ruin during the 19th century as it was sold piece by piece under Dutch reign, until as late as in 1977, the family of the Grand Duke of Luxembourg transferred it to State ownership, thus beginning its restoration. You get to walk through most of the castle, and it is interesting to see the insides, which is not nearly as pompous as the ones you may find elsewhere. Another short drive sent us to the Müllertal, where we found the ruin of the Beaufort castle. This was what one could call an open-air museum, as the roofs were long since gone after a fire. 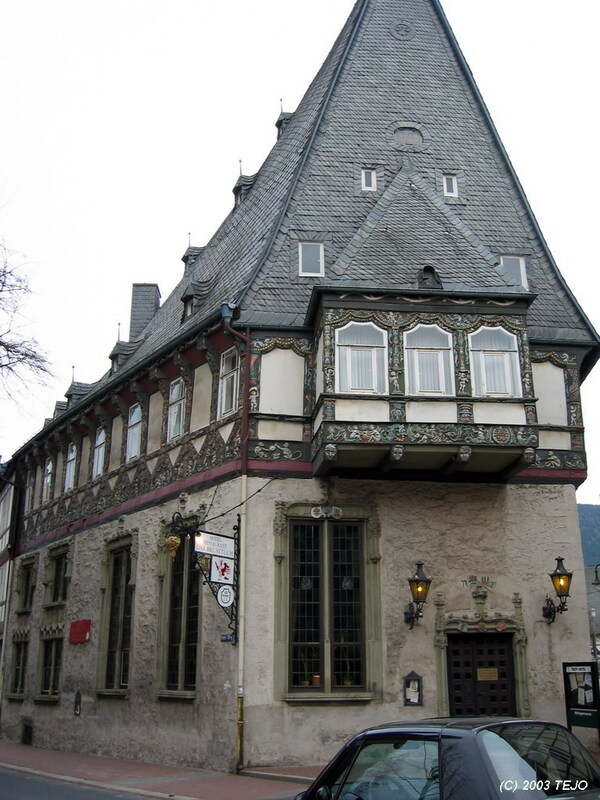 The style was clearly different from the one in Vianden, even though it was built in the 12th century. Here, we found some very small rooms - but one of them was obviously for elite visitors, as a picture showed a knight washing himself in a stone basin, and the basin was indeed visible - even with an exit hole straight into the garden! This castle seemed to belong to a darker age, as we observed a prison cell complete with chains, as well as a torture chamber with devices that one would recommend against using one's imagination too much to figure out how they worked. Just outside the castle lies the start of a footpath through the Müllertal, and we decided to go there to devour the impressions from the last days. We were however soon welcomed by thunder, lightning and rain, and decided to cut the walk short and head back to the car and the capital. Our return trip saw us quickly back to Koblenz via the A13 with a short stop inside the town itself to visit the Deutsches Eck. This is where the two rivers Mosel and Rhine meet, forming an even bigger Rhine. The Eck, which translates to 'corner', has been built into the shape of the bow of a battleship, and on top of a pedestal as large as a house sits a huge statue of Kaiser Wilhelm I. 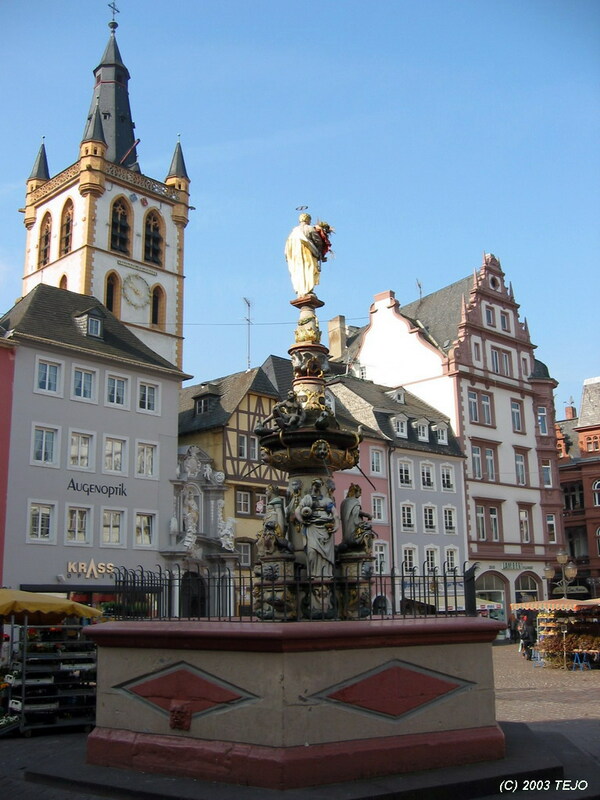 The coat-of-arms of all the 16 regions of Germany is also displayed in a semi-circle behind the statue. Koblenz is also the starting point for the most scenic part of the Rhine valley. 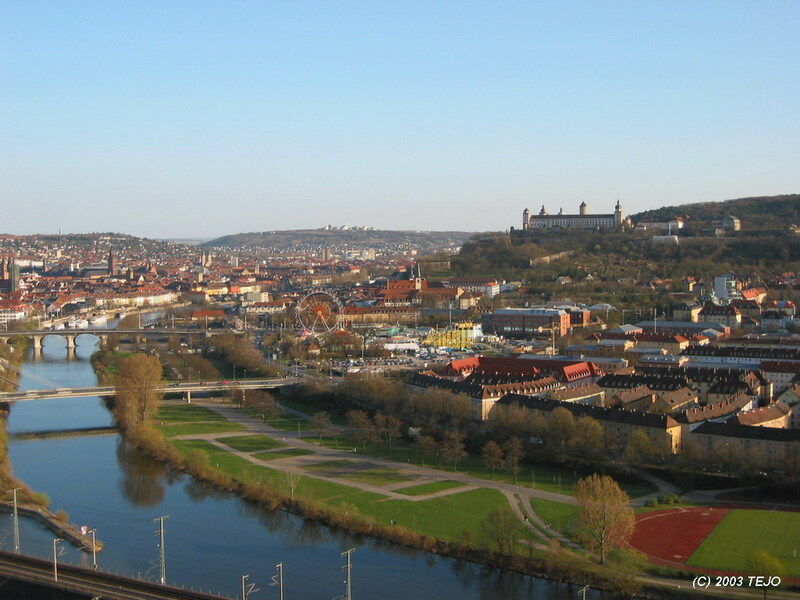 A 100 km stretch to the twin town of Mainz/Wiesbaden sees you through numerous small villages, and as you drive by you will see castles perched atop virtually every hilltop. One of the most famous stops is the Lorelei cliff, rising some 120 metres above the most narrow part of the river between Switzerland and the North Sea, thereby causing a strong current, which in addition to the rocks below have caused many boat accidents there. The name is also that of one of the Rhine 'sirens' (similar to the ones found in Greek myth) who lured seafarers to their doom. We had originally planned to stay overnight somewhere in the Rhine valley, as we figured this would be enough driving and sightseeing for one day. However, time was on our side, even though we had a strange incident where the road was closed due to construction work, which sent us onto a ferry landing to cross the river. This one turned out not to be operative, so we had to drive back to the nearest bridge and continue on the other side of the valley instead - a good thing that there are two roads leading through the Rhine 'gorge'. We managed to continue on the autobahn past Frankfurt and ended up in Würzburg before the clock showed 17. As this was not quite according to plan, it was time to bring out some literature and search for a hotel. This was done on a Walmart parking lot (of all places), and we ended up aiming for a castle hotel visit - namely Schloss Steinburg. After searching a while for the road leading up there, we found out that it had an absolutely spectacular placement with a marvellous view over the entire town, and even had its own vineyard on the slopes below. Each of the 52 rooms have been individually furnished, making every visit unique (unless you request your old room of course...), the stairs were creaking, and there were coats-of-arms and even a full-fledged plate armour on display in the breakfast room, standing watch over the guests perhaps? The breakfast was great, with a huge decoration of fresh roses on the main table, and most you would want out of a breakfast buffet - and something else: white wine jam! I tried it, and it did indeed taste like white wine, but presumably with the alcohol removed. It was time for a bit of sightseeing in Würzburg, the main attractions being the Schloss Marienberg and the Würzburg Residenz. We chose to go for the Residenz and nothing else, and this turned out to be quite an experience of pompous baroque decorations! With that being said, it was quite a magnificent structure. Construction started in 1720 and it was finished in 1744. Sadly, almost all of the town, including the old parts, was ruined by a British bomb raid in 1945, even though Würzburg had no military significance. It took 20 years to painstakingly rebuild what was ruined, while the restoration of the Residenz wasn't finished until 1987 - some of this work is on display and explained in detail along the hallways of the Residenz - quite fascinating reading. 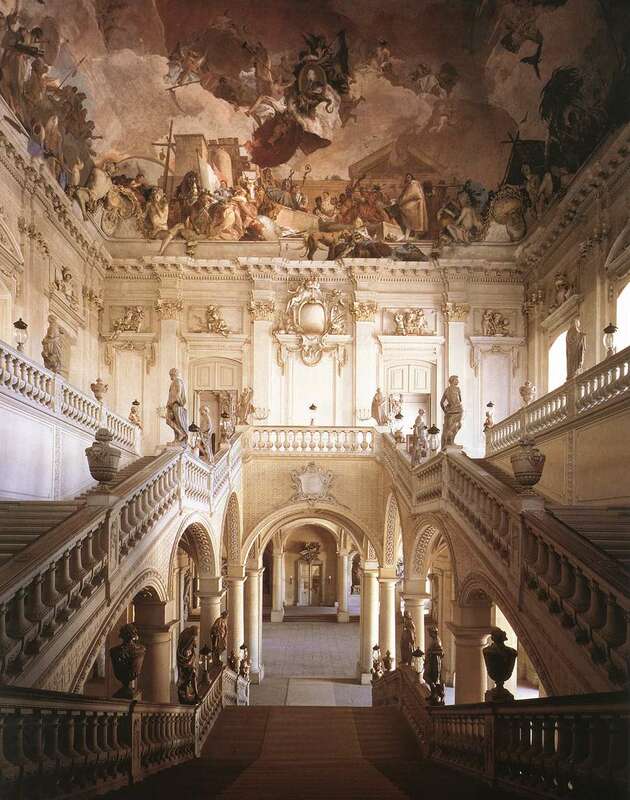 The magnificent staircase, which was designed by the artist Balthasar Neumann and decorated by the Venetian Giovanni Battista Tiepolo has an amusing tale of its own: sceptics would say that the staircase, being roofed by an unsupported vault, would collapse eventually, while the designer claimed that it would shrug off cannonfire. No tests were done however - until the fateful air raid in 1945 where the building was heavily damaged - but the staircase survived intact. The ceiling fresco is one of the largest ever made, measuring 18 x 30 metres. We tried dining at a chinese restaurant here, named Goldene Palast, right next to the church. This was a very pleasant experience, and we tasted for the very first time a drink imported from Japan - delicious sweet plum wine on the house. This is definitely a place to return to if Goslar is re-visited (and it was indeed). 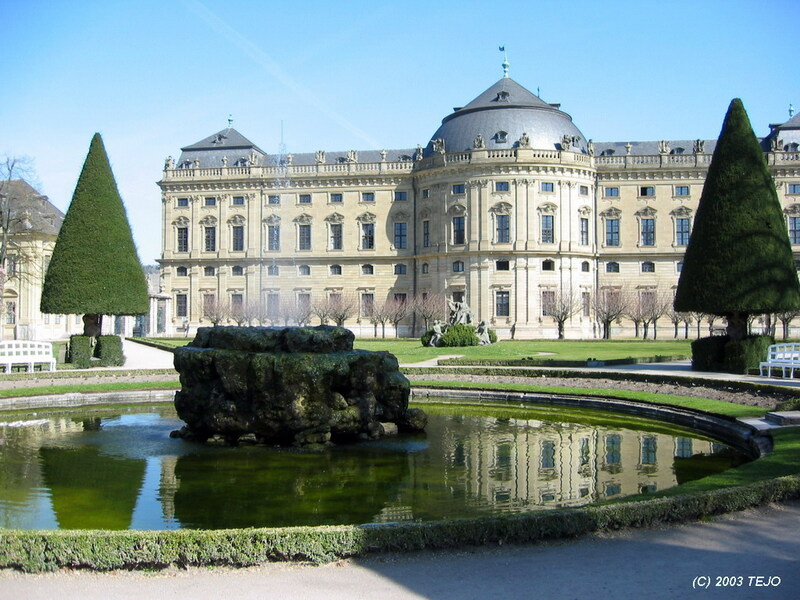 There's also the EXPO sights, including a rainforest house, and the large baroque Herrenhäuser Garten. After an overnight in Kiel, it was time for the final leg of the journey - the ferry ride back to Oslo. 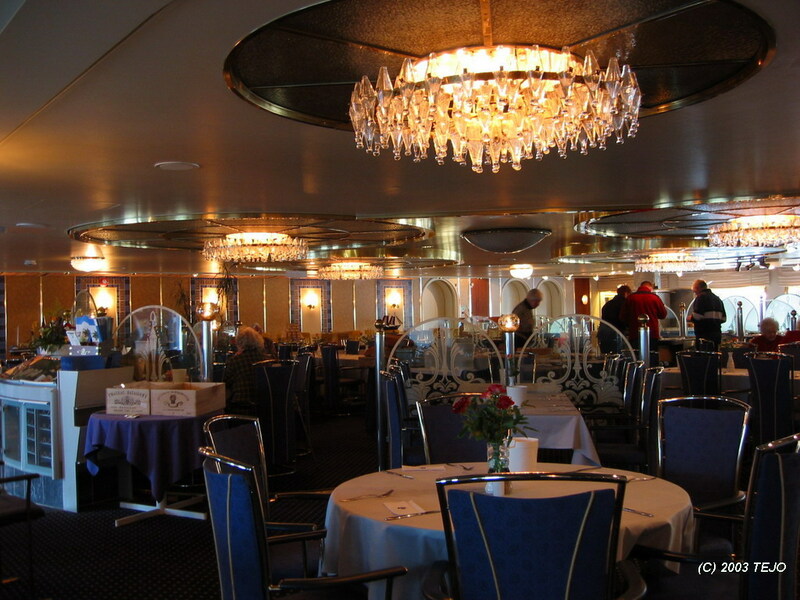 This time we ended up with a quieter night, and had a nice sunset as well as a pleasant breakfast in the 'Crystal Room' of the ship Prinsesse Ragnhild (Color Line), although this ship has been replaced since then. What was originally planned as a 14 day trip, turned out as a 9 day trip - a lesson learned was not to underestimate the efficiency of the German autobahns and the generally excellent infrastructure there. Both Germany and Luxembourg are countries in which it is easy to get around. The infrastructure is really good, and efficiency and road culture is well above average. Driving is not a problem, but the autobahns with no speed limit may seem a bit scary at first. However, there are always at least two lanes, often three when near bigger cities, but slower moving traffic such as lorries, buses and trailers will fill up the rightmost lane and cruise at around 90-100 km/h. A recommended average speed depending on traffic density is around 120-130 km/h. Construction work is abundant, as are speed reductions, so pay attention to the road signs. If there are any sudden stops, you will often see cars in front of you turn on their disaster lights - to warn drivers coming from behind - you should follow this good unwritten rule as well. Also, open up your radio for incoming traffic info, as you will hear important information about traffic jams (staue) here - these tend to happen even on the autobahns near the big cities such as Hamburg and the Ruhr area during rush hour. Also, remember that Germany is the only European country with no speed limit on their autobahns - when you cross the border to a neighbouring country, speed limits will again apply - in Luxembourg it is 120 km/h on the motorways. Get a good road map which covers the area you will drive through - mine showed all entry and exit points with numbers matching the ones found on the signs - a great help indeed. A good one should also show the locations of possible 'Raststätte', most of which have high quality cafeterias and very clean toilet facilities. In Germany, 'Ordnung muss sein' - 'there must be order', and people will point out if you do something wrong traffic wise - but it is out of helpfulness, not a desire to complain. Language barriers do exist - Germans tend to prefer to keep to their own language, and some will refuse to speak English - accommodation wise, this may vary but tends to follow the standard of your chosen overnight stop as well as the location - generally, higher standard hotels have english speaking staff.